STARING at an array of floor plans in a showroom packed with models of apartment blocks set to go up in the northwestern city of Yan’an, the young couple was faced with a tough decision. Even as housing prices in places like Beijing and Shanghai have shown signs of cooling, they remain red hot in many small cities like Yan’an, putting pressure on prospective buyers like Jia Luyu, 30, and her husband, to get in now — or be priced out of the market. After a long deliberation on a recent afternoon, the couple decided to pour their life savings into a 1.1 million yuan (US$163,653.95) three-bedroom apartment in a new district carved out of the loess hills that surround Yan’an. While the Central Government has tamped down property prices in bigger cities across China in an effort to control the longest real estate boom in over a decade, regional economies like Yan’an have been left alone. Real estate prices in more than 200 Chinese cities out of 336 tracked by the China Real Estate Association, mostly smaller provincial cities, have been growing at double digit rates in the past year, with Yan’an’s rising more than 15 percent year on year in December, according to a media analysis of the data. A dozen homebuyers and agents in Yan’an interviewed on the site said prices had almost doubled for some new projects in 2018. Much of that soaring demand stems from Yan’an’s embrace of a national shantytown redevelopment program, mainly financed by policy banks such as the China Development Bank (CDB). That has led to the demolition over 90,000 homes in Yan’an in the past two years. 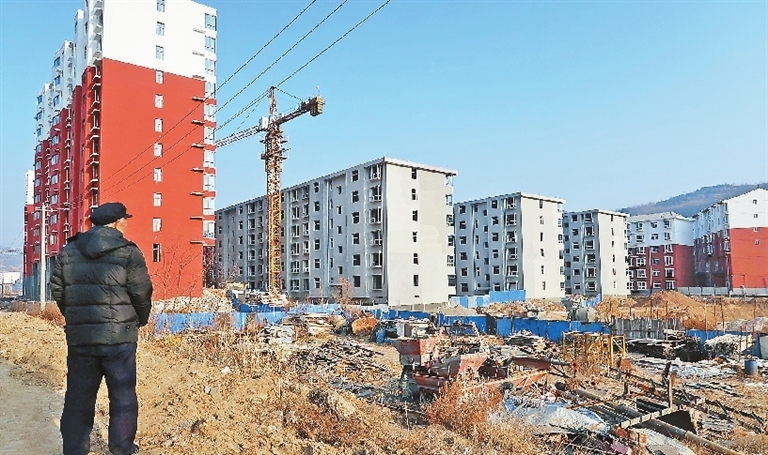 Those whose homes were demolished were paid off, with cash compensations ranging from hundreds of thousands of yuan to the millions, according to interviews with half a dozen Yan’an residents and government proposals made public online. Li Xing, a 32-year-old taxi driver, said his mud house behind a vegetable market will be demolished this year and that he plans to use the compensation for a down payment on a new apartment. Yan’an’s housing stock has fallen to “nearly nothing,” said an official at the housing bureau who asked to be identified only as Wang. The official said the city would stick with its current housing policies. Approving large numbers of new home sales has had a clear impact on the local economy, the authorities say. Real estate spurred Yan’an’s economic growth by 0.4 percentage points in 2017, with an “obvious positive impact” on other related industries, the local statistics bureau said. Property investment doubled in 2018 from a year earlier. Land sales totalled 2.8 billion yuan from January to November, up more than 450 percent from a year earlier, showed calculations from data from the China Index Academy.